Embrace – Cee’s Black & White Photo Challenge – Tender Moments | Pictures without film. Having just looked at again on the iPad I think I should have cropped it square and cut the plinth out of the shot, it would have made it look more like a real couple! 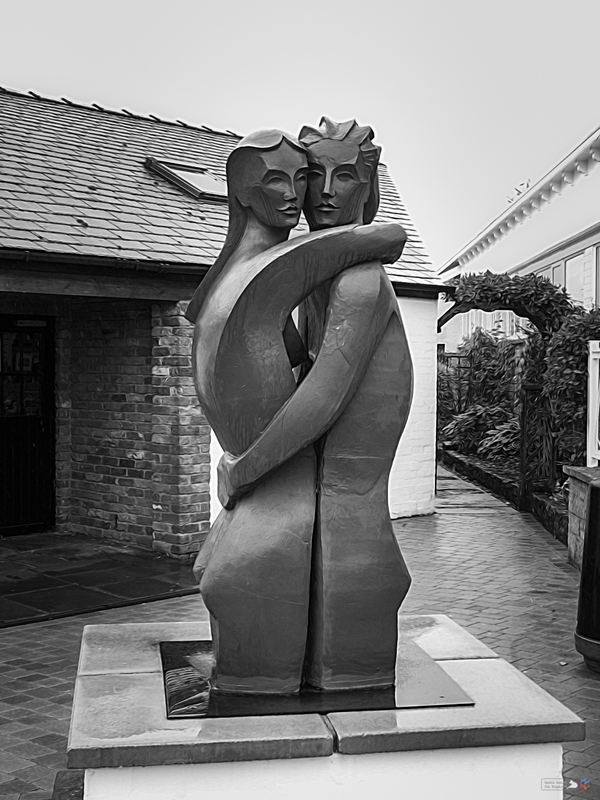 A very striking sculpture of a couples embrace.